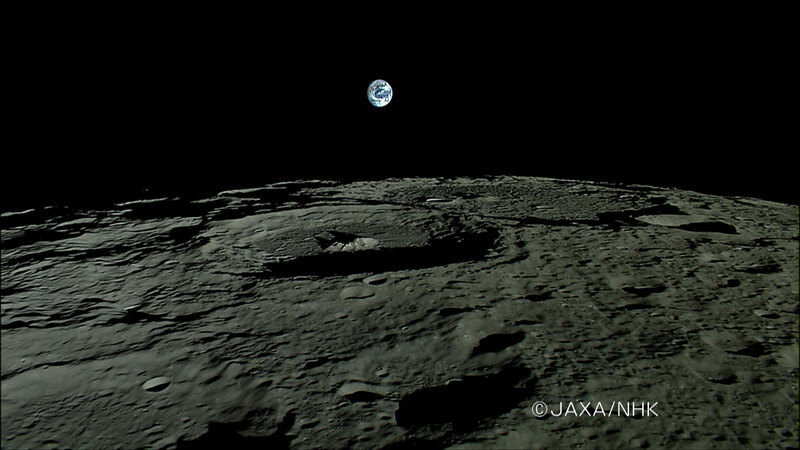 The team that developed and launched the Japanese Kaguya mission to the Moon earned their entire salary on this photo right here – a high-definition image of the Earth, rising over the horizon of the Moon. It’s like the Apollo Earth-rise image… just in high-def. Just to let you know, I actually cropped the image a bit to fit Universe Today a little better. If you’d like to get at the original 1920×1080 pixel image, click here. I made this baby my desktop. And so can you. Once you’re looking at the full-sized image in your browser, right click on it. There’s should be an option that lets you set it as your desktop. Although people have romanticized about what astronauts would see standing on the surface of the Moon, it’s actually not possible. Since the Moon is tidally locked to the Earth, it shows the same face to us at all times. If you were standing on the surface of the Moon, the Earth is always in the same position in the sky at all times. So, you could never actually see the Earth rise above the horizon. To capture a sequence like this, you’ve got to be in a spacecraft, orbiting the Moon, and looking towards the Earth. Then, as the spacecraft comes into the right position, the Earth will appear to rise above the horizon. So, it’s sort of a trick. But still… what a picture. And what a way to put everything here on Earth back into perspective. As Carl Sagan said when talking about the pale blue dot of an Earth captured by NASA’s Voyage 1. But instead of “dot”, substitute, “cool high-definition image of the Earth”. Thanks Carl. And thanks Kaguya, consider this mission a success. But still send the science, that’ll be helpful too.